There aren't many things I get geeky about, but space exploration is one one of them. 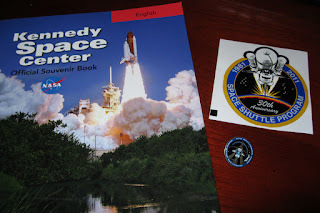 So when my friend Anne and her hubs Roger invited me to the Kennedy Space Center for NASA's Celebration for the 30th Anniversary of the Space Shuttle Program, I answered HELLZ Yeah! 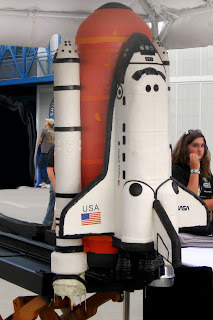 This was my first visit to Florida's Space Coast, so I did a little sightseeing. 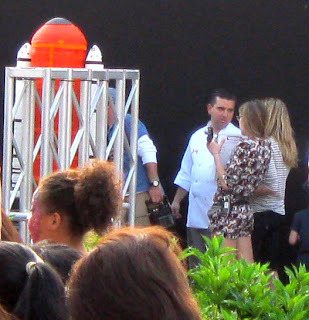 I'll post some of the pics on Instagram. 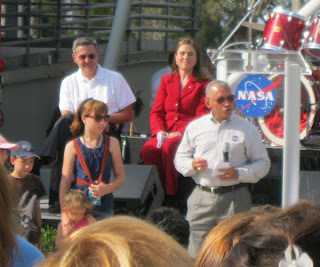 The "top brass" was there - NASA Administrator Charlie Bolden addressed the crowd of NASA employees, contractors and friends. Earlier that day he announced that the Space Shuttle Atlantis would be "retiring" to the Kennedy Space Center! The crowd of NASA employees, contractors, families and friends applauded the choice. There were astronauts and former astronauts and a band called "Space Connection" but the big finale of the event, the icing on the cake, if you will, WAS a cake - but not just ANY cake. 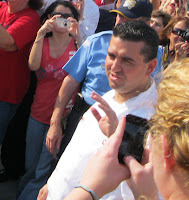 Buddy "The Cake Boss" Valastro, Master Baker and Cake Decorator from Carlo's Bakery in Hoboken New Jersey was on hand to present an awesome Space Shuttle cake they made for the occasion. Frankie Amato JR (left) and crew transport the cake. Shuttle Plaza for the big presentation. The Cake Boss when it airs. I did get a closeup of the cake for you though! 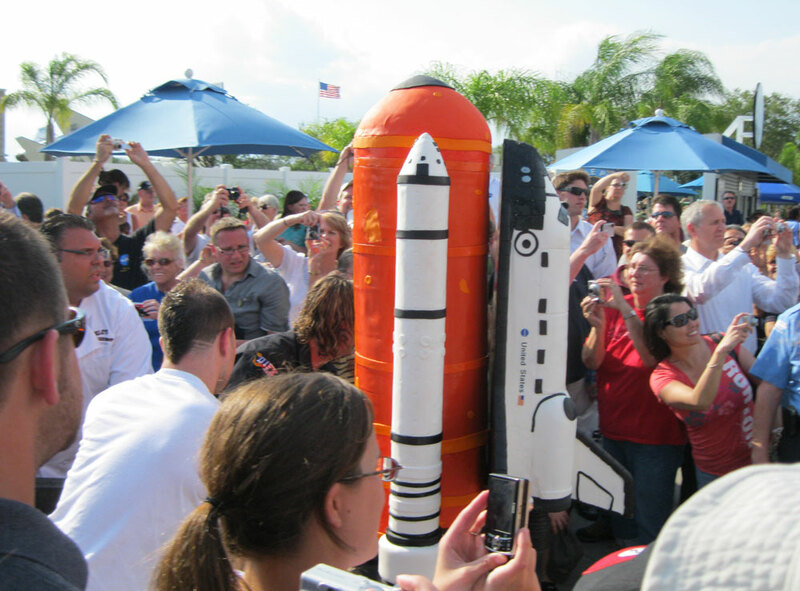 The melted area on the lower left rocket booster might give you a hint of what's to come on The Cake Boss. Thanks a million to Anne and Roger for including me in the celebration! Nice to see Anne again and to meet Roger and neighbors Lane and Bill. 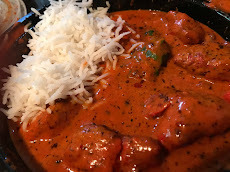 I've posted more pics on my Facebook.